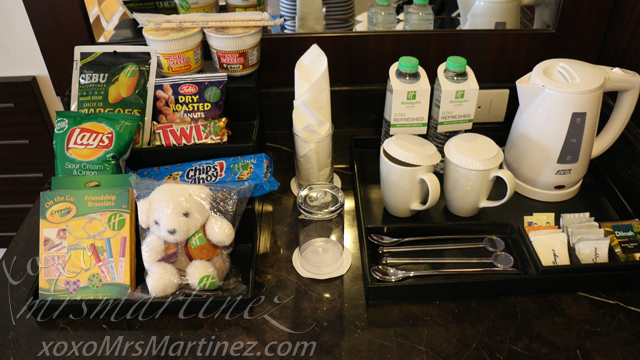 For my daughter's birthday, I booked an overnight Deluxe Room with breakfast at Holiday Inn & Suites Makati. I emailed the hotel to request for an early check-in but I was told that the earliest check-in time was 2 pm. We went there at 3pm, right after we had a filling lunch at Hermanos. My daughter was looking forward to this staycation. Once we entered the room, she immediately jumped on the bed and went under the blanket. She was really very giddy and excited. 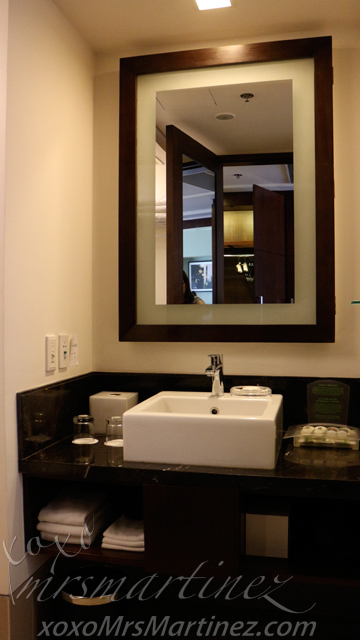 The private bathroom is quite basic- there's hairdryer, towels, slippers, soap, shampoo, lotion and toothbrush & toothpaste. There's no bathtub nor rainshower but there's a pair of bathrobes and ironing board with iron found inside the cabinet. Since my husband is an IHG member, he is entitled to two Welcome Drinks. 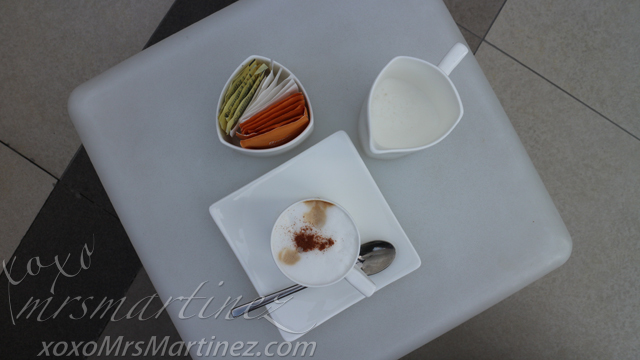 You can either choose from juice, coffee or tea. The coupon can be redeemed at either the Citron Lobby Bar or OZ Bar which is located at the same level as the swimming pool. The next day, we woke up early so we can have our breakfast at Flavors. 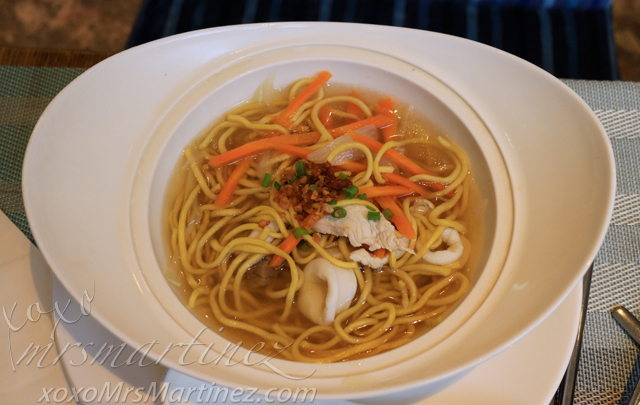 The selection was not as varied as Sofitel Philippine Plaza. It was just enough to fill our hungry tummies. 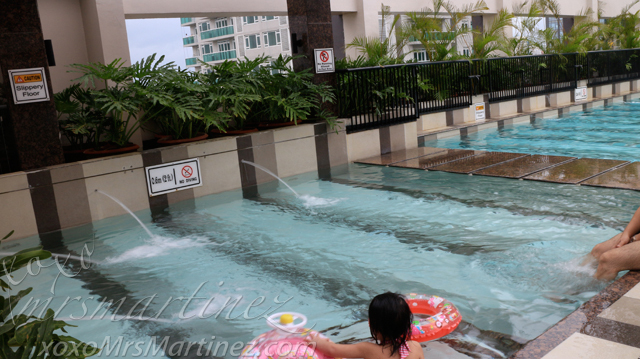 Holiday Inn & Suites Makati is more like a business hotel than a family hotel but we were happy nonetheless with our stay. 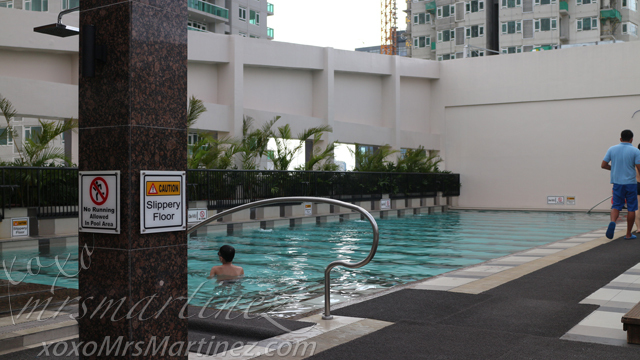 It is so convenient because there's a direct access to Glorietta- a well-known shopping mall in Makati. 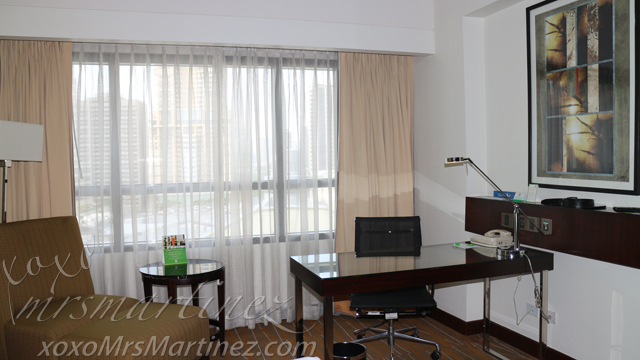 Holiday Inn & Suites Makati is located in Glorietta Mall, Palm Drive, Ayala Center, Makati, Philippines with telephone number 909 0888.